I fell in love with this block the minute I saw the tutorial. I had this layer cake of batiks and decided to cut up some white fabric to go with it and off I went. 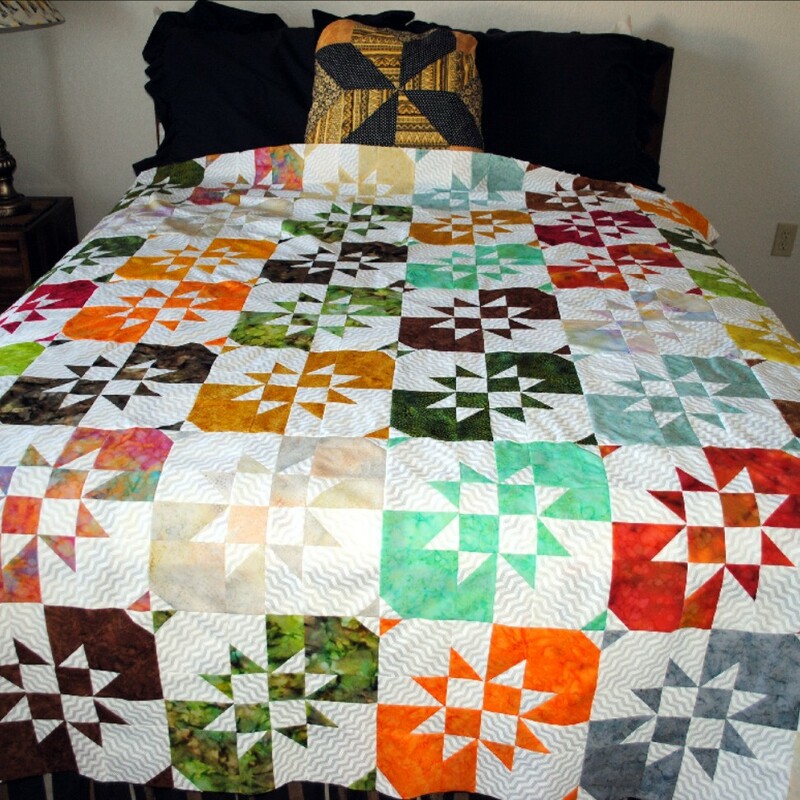 I am not going to put any borders on it and I decided to quilt it in a meandering pattern with a variegated thread.